1,93 m x 1,30 m.
Diocrès's true nature was revealed during his funeral, when he is said to have risen from his bier three times, proclaiming, in front of Bruno and his other pupils, 'By the justice of God, I am condemned'. "The homily is the touchstone for judging a pastor’s closeness and ability to communicate to his people. We know that the faithful attach great importance to it, and that both they and their ordained ministers suffer because of homilies: the laity from having to listen to them and the clergy from having to preach them! It is sad that this is the case. [I]t is God who seeks to reach out to others through the preacher, and that he displays his power through human words. 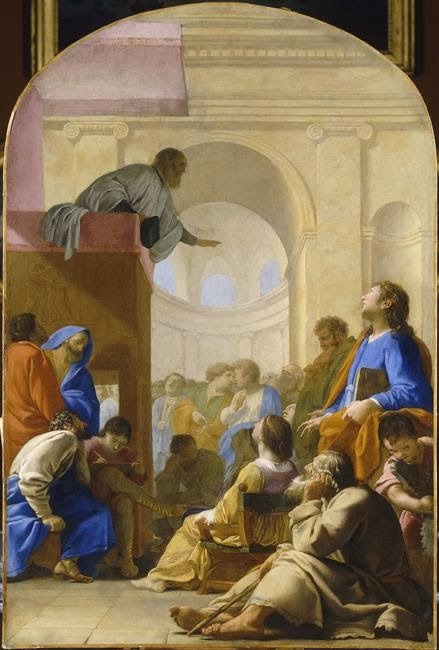 Saint Paul speaks forcefully about the need to preach, since the Lord desires to reach other people by means of our word (cf. Rom 10:14-17)."